Meet Handsome Panther. 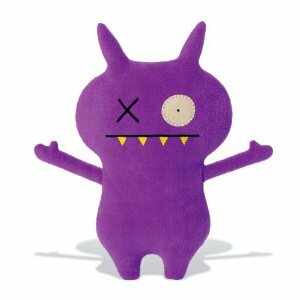 Uglydolls are plush, lovable characters that show us to accept our differences and embrace our flaws. Uglydoll is a winner of Best Toy awards from the Toy Industry Association, TD Monthly, Oppenheim, Funfare, Parent’s Choice, iParenting, Creative Child and many more. Recommended for children age 3 and up. Uglydoll – pretty ugly.